NAPA, CA Beringer Vineyards will be hosting a special event on Saturday, September 28th, 2013 from 11 AM - 4 PM spotlighting its new wine and chocolate pairing offerings, featuring tours, tastings and a baking demo by James Beard award winning chef, Joanne Weir. This spring Beringer Vineyards announced a partnership with Scharffen Berger Chocolate Maker to establish a premium wine and chocolate tasting room at Beringer’s historic winery and estate in Napa Valley, California. Located on the winery’s beautiful historic grounds, the tasting room will be open to the public and will provide guided chocolate and wine pairing events. Chocolate and wine pairing events will offer guests an experience that is both indulgent and educational, while honoring the innovation and hospitality that began in 1934 with Beringer being one of the first wineries in Napa Valley to offer public tours. Participants will discover how wine and chocolate flavors develop together, and how the artisan chocolates and wines are crafted. Each guest will taste at least three different Scharffen Berger® chocolates, each expertly paired with a Beringer wine that has complementary flavor notes. 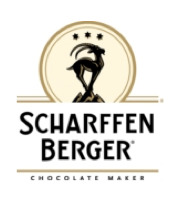 "I am thrilled that Scharffen Berger chocolates will be available at the Beringer Winery. It is only a mile or so from Stony Hill where I had my first job in the wine and food world and it seems like the chocolate is coming home," said John Scharffenberger. Scharffen Berger chocolate’s signature portfolio of chocolate bars, tasting squares and baking chocolates will be available for purchase, along with an array of Beringer wines. Guests will also receive a complimentary wine and chocolate pairing guide that will allow them to replicate the experience at home to share with friends and family. For additional information about the Chocolate and Wine Tasting Room and tasting events, visit www.beringer.com or call 1-866-708-9463. For more information about Scharffen Berger chocolates, visit: www.scharffenberger.com. The epitome of a modern classic, Beringer has been Napa Valley's benchmark producer since its establishment in 1876. Winemaker Laurie Hook crafts classic wines from Napa's finest appellations and Beringer's exceptional collection of vineyards. A winemaking legacy of 134 years is reflected in an acclaimed portfolio of wines which are collected worldwide. The historic estate in St. Helena offers a tradition of hospitality that defines the Napa Valley. Scharffen Berger Chocolate Maker was established in 1997 in San Francisco, California, and first earned national recognition for its artisan-quality chocolate in 1998. Producing bean to bar premium chocolates, Scharffen Berger Chocolate Maker is one of the world's finest chocolate makers. All Scharffen Berger chocolate is composed of proprietary bean blends from up to nine different cacao-growing regions throughout the world. Scharffen Berger chocolate has received recognition throughout the U.S. for its high quality chocolate.